Take some time to look around you, and you’ll quickly see that there are a lot of different options to choose from when it comes to razors. While it can be easy to think that the only option we have are what Gillette sells at the local pharmacy, this simply isn’t the case. Straight razors are quickly becoming popular among a lot of guys, and this raises some questions that need answering — one of them being how to sharpen a straight razor without a strop. The straight razors that I recommend are by Utopia Care (available on Amazon). A strop is typically the most common tool used for sharpening the blade of a straight razor, but what if you don’t have access to one and still need to breath some new life into your blade? It can be easy to think that all hope is lost in a scenario like this, but you’d be wrong! 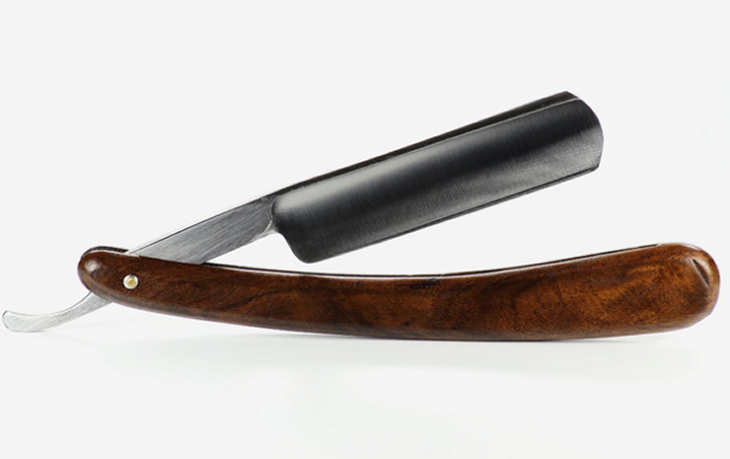 There are in fact a number of different ways to sharpen a straight razor, and we’re going to talk about them now. If you recently got your hands on a straight razor, there’s a very good chance that you aren’t entirely familiar with just what a strop is. We don’t blame you, and that’s why we’re going to fill you in before you talk about alternatives. A strop is nothing more than a strip of leather that's used for the sole purpose of sharpening razor blades. Strops can also be made out of canvas, balsa wood, or denim, but the main goal of it is to always make your razor as sharp as it can be. In short, it’s typically the tool we recommend the most for people asking how to sharpen a dull straight razor. I recommend the GBS Leather Strop (available on Amazon). Hanging strops are the most common type, and this is nothing more than a strip of leather that has two handles at either end of it. With this type of strop, all you need to do is attach one end to some sort of fixed object and then hold the stop so that it’s taut and doesn’t have any give to it. Once you do this, hold your straight razor in your dominant hand and then pull the blade of your razor down the entire length of the strop while applying a fair amount of pressure to it. 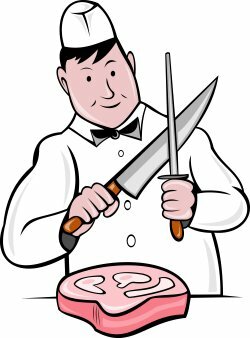 After you do this for about 10 stories or so, let the blade sit without use between 24 and 48 hours. When you run the blade across a strop, it helps to sharpen it once more by realigning any imperfections that have appeared throughout the blade. It’s certainly the most effective and efficient way to sharpen a straight razor, but if you find yourself without a strop and aren’t in a position to go out a purchase one from the store or online, here are some nifty alternatives that work surprisingly well. The first alternative to a strop for sharpening your razor is a stone. When we say stone, we aren’t referring to any old rock that you find outside in your lawn or driveway. Instead, the stone we’re talking about here is more commonly referred to as a sharpening stone, stone hone, or whetstone. The Sharpening Stone by Cwindy (available on Amazon) is the one that I recommend. All it is is a flat stone that is used in a very similar fashion to a strop. Sharpening stones are available in a number of different levels for their grit, and this means that you have options to choose from when it comes to deciding how strong you want the stone to be. This is great if you have a lot of different blades of varying thickness you need to sharpen, and that’s something you simply don’t have control over when it comes to strops. Once you have a sharpening stone, you’ll want to position it on a flat surface. Get the stone wet with water, shaving cream, or oil, and then simply drag your blade across its surface. Pull the blade towards you by using diagonal strokes, and repeat this a number of times. You should only use a sharpening stone about every six or eight weeks, as choosing to use it more often than that will drastically shorten the longevity of your blade. One tool that a lot of men often turn to is a knife sharpener for keeping their razor blades as razor sharp as they can be. This might seem like an obvious alternative at first, but we strongly recommend against you doing so — here’s why. The edge of your razor is considerably more delicate than the edge of a knife. As such, a knife sharpener will likely be far too strong for the blade of your razor and really mess it up if you try using it as a replacement for a strop. There are a few select high-end knife sharpeners that might work, but even then, you’re taking a gamble by doing so. Along with using tools to sharpen your razors, you can also help to keep them working to their fullest potential by simply taking care of them after finishing up your shaving for the day. It’s very easy to simply store your razor wherever you do immediately after you’re done using it, but doing so will have some negative effects on it going forward. Once you finish up your shaving, take a second to dry the razor off your razor. First shake off any water that’s currently on it, and then dab away any other moisture with a soft towel. If you have some extra time and want to go that extra mile, you can also use a blow-dry or fan to really make sure the razor is free of any water that you don’t want sitting on it. After getting your razor as dry as you can, apply oil to the blade that’s made to help prevent rust from building up on it. Mineral oil and petroleum jelly work great for something like this, and you’ll be surprised as to just how much longer your blade will stay sharp by doing this. Place your razor in a dry area where moisture won’t be able to get to it, and you’ll be all set. As you can see, it’s very possible to know how to sharpen a straight razor without a strop. Using a sharpening stone is the best alternative, and implementing proper care techniques for your blade will help to extend the life of its sharpness as well. If you follow these tips and stay far away from that knife sharpener, you’ll notice is big increase in how long your blades stay sharp. Not only is this a nice convenience, but it’s a big money-saver as well.